Ubuntu 14.04 LTS codenamed Trusty Tahr released on 17th April 2014. Some things to do after installing Ubuntu 14.04 LTS are given here. This is a quick Post Installation Guide for Ubuntu 14.04. Canonical focus on security, stability, speed and reliability insted of new features and new experiments in Ubuntu 14.04 LTS. Because Ubuntu 14.04 is a Long Term Support Edition. It gets official security updates from Canonical for next five years (upto 2019) for both desktop and server edition. Ubuntu 14.04 LTS is very fast and stable than Ubuntu 13.10. It is coming with a set of new changes and fine tuning that improve the overall experience of Ubuntu. Ubuntu 14.04 is based on Linux kernel 3.13.9 and Gnome 3.10 is also included. Ubuntu 14.04 will get the latest unity shell with lot of performance and visual improvements. The isos for Ubuntu, Kubuntu, Xubuntu, Lubuntu, Ubuntu GNOME, and all the other flavors will be released on 17th April 2014. This guide go through quick setup of a complete desktop and introduce some software for common tasks like audio recording, video recording, photo editing etc. 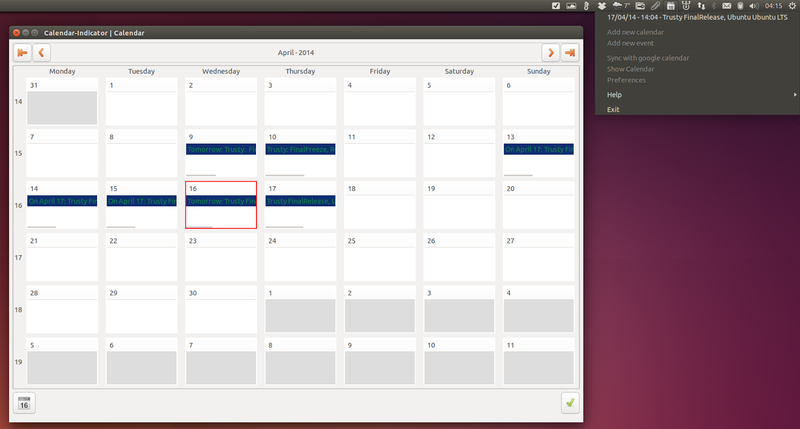 Ubuntu 14.04 will be released on 17th April 2014. The very first thing to do after installing Ubuntu is just update the system. This will install all the latest softwares and packages available now. To run the commands listed here Open Terminal (press Ctrl+Alt+T) then copy the command and paste Press Enter. Most of the installations can be done through the software center also. But Command line is a way better and fast than the Graphical Software Center Installation. The next thing is to install restricted extras. It includes Adobe Flash Player, multimedia codecs (w32codecs or w64codecs), mp3-compatible encoding (lame), FFMpeg, extra Gstreamer codecs, the package for DVD decoding (libdvdread4, but see below for info on libdvdcss2), the unrar archiver, odbc, and cabextract. It also installs multiple “stripped” codecs and avutils (libavcodec-unstripped-52 and libavutil-unstripped-49). This is a single command approach to install everything essential to play various multimedia formats. If you are using Ubuntu: Click here to install the ubuntu-restricted-extras package . This will download and install a whole set of softwares for ubuntu in single command. It will take some time depending on the speed of internet connection. Keep the terminal live until the process finish. Install the unrestricted version of libavcodec . It will keep away from any issues or missing codecs in video editors or transcoders. Install unrestricted version of libavcodec by the command below. If you want to play encrypted DVD in ubuntu 14.04 then you should also install CSS (Content Scramble System) decoder/unscrambler. The free software library libdvdcss2 is very popular for reading the encrypted DVDs. Gnome Tweak Tool is the essential utility for a Gnome 3 desktop environment for changing various settings without much hassle. Gnome Tweak Tool allows us to customize windows look, theme, Fonts and much more etc. Unity shell is run over Gnome environment so this tool is essential . Unity Tweak Tool is a settings manager for the Unity desktop. It provides a quick, fast easy-to-use interface to change Unity desktop. It has access many useful and little known features and settings of Unity environment that one may want to customize in Ubuntu 14.04. Unity Tweak Tool allows you to change various Unity settings, like auto-hide behavior, tweak the Dash, the Unity Launcher or HUD, change window snapping and hot corner settings, change the GTK and icon theme, access various font settings and more. In Ubuntu 14.04 the Dash displays recently accessed files and other files found in the system. But you can change the search results by going into Security & Privacy settings in the System Settings. There you can change what to display on Dash.On the Search tab, you can select to disable online search results from being displayed in Dash. You can change each scope by enable on disable on the Search tab in the settings. CompizConfig Settings Manager helps to tweak some aspects like enable minimize on click for the Unity Launcher . To enable minimize on click for the Unity Launcher install CompizConfig Settings Manager. After installation just open CompizConfig Settings Manager and click the “Ubuntu Unity Plugin” and on the Launcher tab, enable “Minimize single window applications (unsupported)”. This feature will only work for single window applicaitons. Ubuntu 14.04 comes with Localy Integrated Menus (LIM). LIM displayed on the window title for unmaximized windows insted of the global menu. This will provide a quick access to the applicaiton menu for unmaximized windows. By default the application menu will display on the top panel regardless of the state of the window. To enable Localy Integrated Menus just go to System Settings > Apperance > Behavior Tab > Select Show the menus “in the window’s title bar”. Firefox is the default web browser in Ubuntu 14.04. Google Chrome and Chromium (Open Source Project of Google Chrome) are better try. Firefox doesn’t use native notifications under Linux. 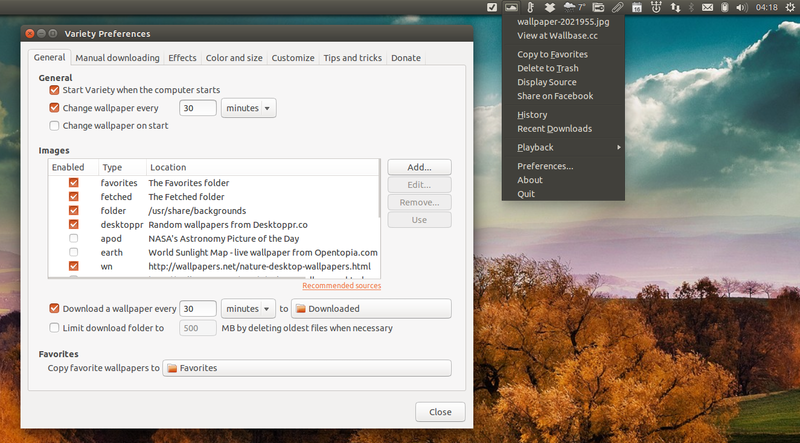 GNotifier is the firefox extension to use Native Notification library in Ubuntu 14.04. The extension currently supports GNOME (Shell), Unity, KDE and Xfce. Gnotifier extension is available Mozilla Firefox Addons Website and it doesn’t require restarting of firefox after installation. Google Chrome is the most popuar web browser developed by Google. It is very fast and perfectly integrate all google services with it..You can Install Latest Google Chrome Stable on Ubuntu 14.04 LTS by downloading it directly or use the commands below. Thunderbird is the default email client for Ubuntu 14.04. This is created by the mozilla team, people behind firefox. Geary is a neat and clean email client for ubuntu from elementary OS team. Geary is included in the default repository so just open the software center and search for geary. 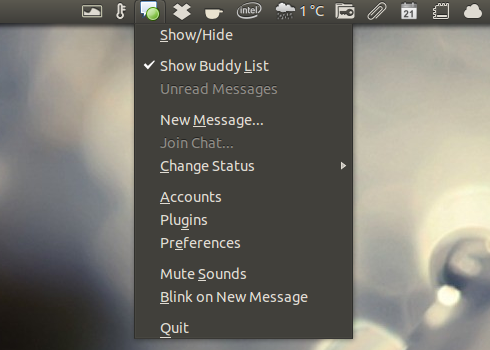 Empathy is the default IM Client for Ubuntu 14.04 . Other IM Clients are pidgin,skype,amsn etc..
Skype is a proprietary integrated VOIP and video conferencing program similar to Ekiga. It is a complete audio video chat client for ubuntu. The latest version of Skype is 4.2. To install Skype, first activate Canonical Partner Repository, then install Skype via the Software-Center. Type the commands given below. Skype Uses Clearlooks theme in 64 Bit Ubuntu insted of the selected system theme. Skype is a 32 Bit application and the GTK2 theme engines are installed for 64bit not for 32 Bit application. That is why Skype looks ugly in 64 Bit Ubuntu. To fix this, you need to install the 32bit Murrine and Pixmap GTK2 engines. Run the commands given below. 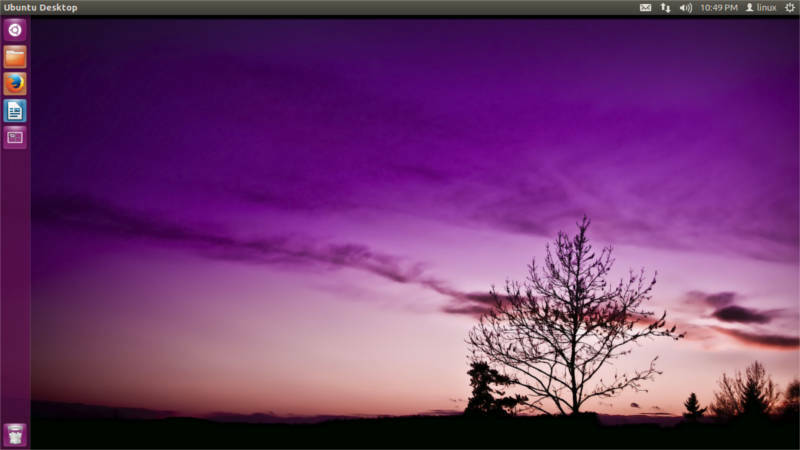 The default media player included with Ubuntu 14.04 are Rhythm box and Totem video Player. In ubuntu you will get a set of world leading media players that can handle all type of videos without any problem. We have three majour players vlc, mplayer, xine. VLC is one of the worlds first class media players used in all linux distros and in other operating systems. It can handle all the video formats that available now a days.It will play most of the media without any other codec requirements. Mplayer and smplayer (mplayer’s GUI) is excellent for video playback. We can try these players as alternatives to VLC. It supports almost all video formats. It needs external codecs installed separately. To Install Mplayer and SMplayer just run the commands given below. These players are available on ubuntu software centers also. You can also skip this step if you attemplted ubuntu restricted extras. There are lot of music players available in ubuntu software center which works out of the box. We can use them to stream, manage music collections, get covers etc..
Clementine is a music player inspired by Amarok 1.4, focusing on a fast and easy-to-use interface for searching and playing music.It can listen to internet radio from Spotify, Grooveshark, Last.fm, SomaFM, Magnatune, Jamendo, SKY.fm, Digitally Imported, JAZZRADIO.com, Soundcloud, Icecast and Subsonic servers. Search and play songs you’ve uploaded to Box, Dropbox, Google Drive, Skydrive and Ubuntu One. Transcode music into MP3, Ogg Vorbis, Ogg Speex, FLAC or AAC. Also Visualisations from projectM. Lyrics and artist biographies and photos and more. Lyrics and artist biographies and photos. Edit tags on MP3 and OGG files, organise your music. Remote control using a Wii Remote, MPRIS or the command-line. Version 1.2 released on October 2013. Exaile is a music manager and player for GTK+ written in Python. It incorporates automatic fetching of album art, lyrics fetching, Last.fm scrobbling, support for many portable media players, internet radio such as shoutcast, and tabbed playlists.Current version is 3.3.2 released on October 2013. Openshot is one of the best existing video editors in Linux. It has a nice inteface to quickly manage videos and create a good time line for beginners. OpenShot can import your videos, photos, and music files and create a video the way you want. Add sub-titles, transitions, and effects, music and then export the video to DVD, YouTube, Vimeo, Xbox 360, and many other common formats. Spotify is a Swedish-founded, UK-headquartered DRM-based music streaming service offering streaming of selected music from a range of major and independent record labels, including Sony, EMI, Warner Music Group, and Universal. The service is, as of November 2011, available in Austria, Belgium, Denmark, Faroe Islands, Finland, France, the Netherlands, Norway, Spain, Sweden, Switzerland, the United Kingdom and the United States. Install spotify client in Ubuntu using the commands given below. Minitube is a flash free YouTube desktop application for Linux, Mac OSX and Windows. Minitube is perhaps one of the cleanest looking YouTube desktop client I have ever used in Ubuntu. HandBrake is an open-source multiplatform multithreaded video transcoder. It is used for converting DVD or Bluray discs to formats like MP4, MKV, H.264, MPEG-4 or other formats. You can also encode audio files like AAC, MP3, Flac, AC3 etc. The latest version available is HandBrake 0.9.9. Handbrake is available in the default PPA. Just run the commands below. There are lot of applications available for photo editing, drawing, painting, animation, 3D Modeling in Ubuntu 14.04. Most of them are listed in the software center. The state of art blender and essential mypaint is coming under graphics. Also dia for diagrams drawing and editing etc. A set of professional CAD softwares are also available in Ubuntu 14.04. Blender is the award winning 3D modeling and Non Linear Editing Programme in Linux. Blender supports from character drawing to timeline editing . The Latest version 2.70a is the most powerfull solution for all designing and 3D needs. There is a non linear editing tool set is also coming with blender. This should open a tab in your default web browser, asking to allow google-drive-ocamlfuse to access your Google Drive. Click “Allow”, wait a few seconds for google-drive-ocamlfuse to retrieve the authorization code and you’re done. Java is required to run programmes based on java. Most users will only need OpenJRE and the Java browser plugin which you can install directly from the default ppa. Ubuntu ships with just a few indicators by default because well, it can’t guess what everybody needs. So here are some indicators you might find useful. Calendar Indicator display quick calendar events. This AppIndicator displays your 10 upcoming events in the indicator menu, can add new events (which of course, are synced with Google Calendar) and it has a complete calendar view where you can see all your Google Calendar events, edit or add new events, etc. Pidgin Indicator Pidgin may not be the default IM client for Ubuntu, but it’s still a very popular application. Pidgin uses a tray icon by default but you can now use an AppIndicator. Once installed, open Pidgin and from its menu select Tools > Plugins, then scroll down until you see a plugin called “Ubuntu Indicator” and enable this plugin. My Weather Indicator, an appindicator that displays the current weather on the Unity top panel. The tool can also display a 5-day forecast (it depends on which Weather service you use), it comes with some very nice (optional) desktop widgets and more. 1.4 Variety is more of a fully featured application than just a simple AppIndicator, but I’ll add it here anyway since I’m sure many of you will love it. Variety is a wallpaper changer that automatically downloads and changes your wallpaper on a given interval. Using it, you’ll get cool, fresh wallpapers each day. Or each hour. Or… well, it’s up to you when the wallpaper changes. From the AppIndicator menu you can quickly switch to the next (random) wallpaper or copy the wallpaper to favorites, for later use. Note that Cpufreq Indicator doesn’t work with Intel P-State. 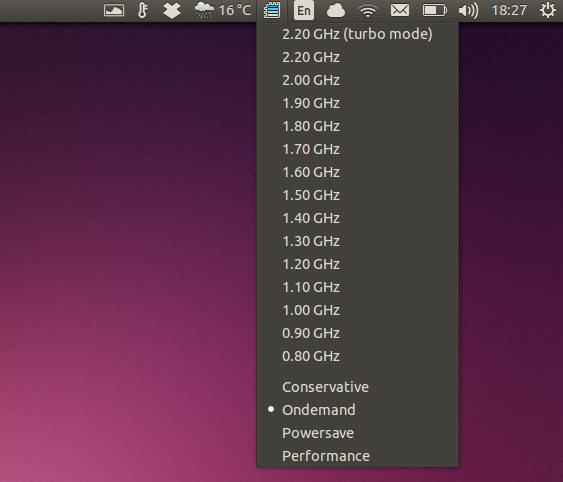 TLP is an advanced power management command line tool for Linux that tries to apply these settings / tweaks for you automatically, depending on your Linux distribution and hardware. Important: make sure laptop-mode-tools is not installed (simply run “sudo apt-get remove laptop-mode-tools” and it will be removed if it’s installed), as it conflicts with TLP. For more information, see our article on TLP. This is a quick to do list after install ubuntu 14.04 in your system. Some of the part of this guide is used to find alternative softwares in ubuntu for various tasks. To install all these packages a good internet connection is a must. There are lot of applications for every purpose like scientific computing, Integrated Development Environment etc… You can try all these softwares from ubuntu software centre. Just search for the application and click install.